YES! 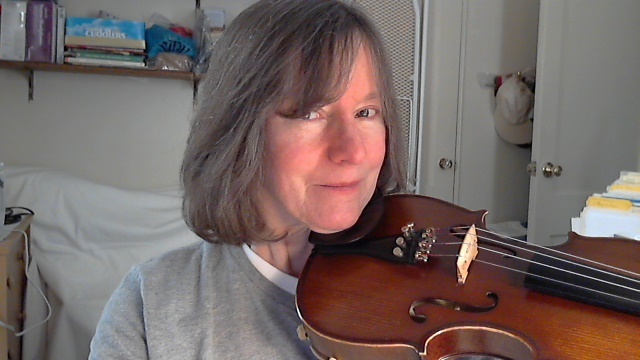 You CAN learn to fiddle with online lessons! 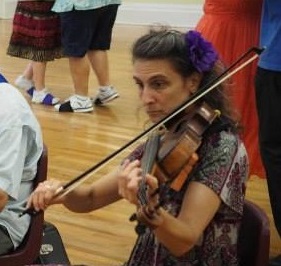 We believe that everyone can learn to fiddle. Even if you live in hard-to-reach places. Even if you haven’t found a teacher. 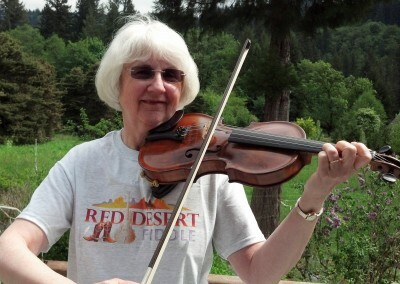 Looking for Online Fiddle Lessons? Hi, I’m Lora. If you’re looking for online fiddle lessons, you have found the right place! I am excited to bring you Fabulous Fiddle Fundamentals, my video-based lessons course that will teach you how to fiddle. 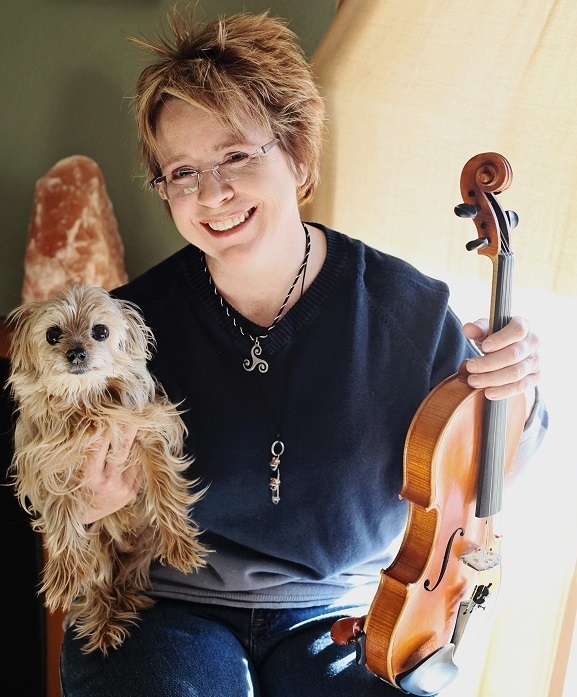 At the end of this course, you will have 24 songs in your fiddle repertoire and the skills you need to play with a band, wow your family and friends, compete in fiddle contests, and most importantly, to enjoy making music for the rest of your life! Learn how to take a bare-bones melody (like the thousands you can download for free online) and turn it into an exciting and beautiful audience-pleaser! Get a virtual toolbox FULL of “formulas” and “patterns”, ideas, tools, and techniques which you can use and re-use for any fiddle tune to dress it up. 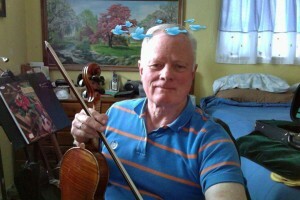 People just like you are learning to play fiddle with my online lessons! Download MP3’s of me and Larry Unger playing all 24 tunes in the course. 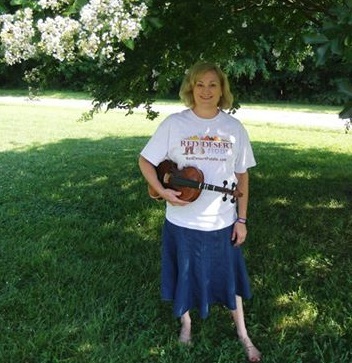 You will get each tune in 3 different formats: with fiddle and guitar, fiddle alone, and with guitar alone. This will support you through the entire learning process! Every unit has play-along videos in 3 different speeds: slow, medium, and fast. 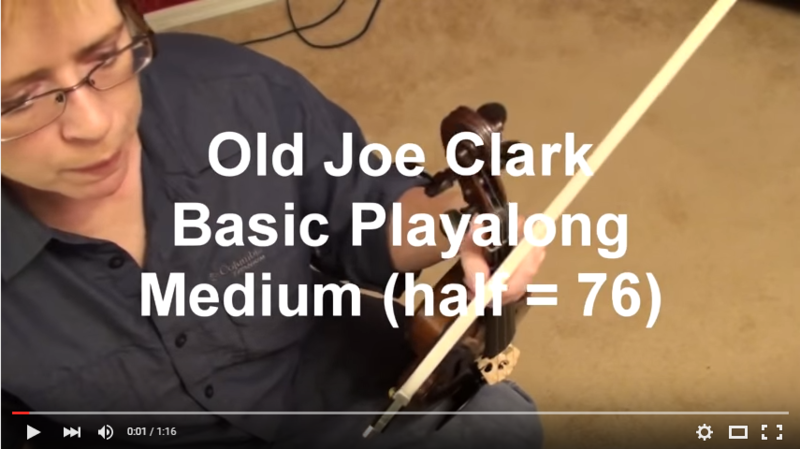 This helps you learn the tune and gives you something to play along with as you learn to play “back-up”, or as you experiment with bowings and ornaments. No extra cost! Get help whenever you need it! Every lesson features a “comments” section where you can post your thoughts, comments, or questions. I personally read all the comments and answer your questions, so you get plenty of help from the teacher. You’ll also get encouragement and practical tips from your fellow students. And if you have technical difficulty, a friendly and prompt support staff is standing by. You simply log in to our members-only area and watch the videos as often as you like with your fiddle in hand. You and I will work through the exercises together and you can stop and repeat whenever you need to review. Plus you have access to me and technical support for one full year to get answers to your questions. Approximately every 4 weeks, your membership will automatically upgrade to the next units. But if you want to take 5 weeks or 6 or even longer to learn a tune, go ahead! You go at your own pace and your own pace is okay. The next lessons will be there for you when you are ready. You will only be billed for 8 months but you’ll have access to all of the videos for two full years. And if you need more time, you can purchase extended access. That is the beauty of this system. If you have to take a couple weeks off for whatever life throws at you, no problem. Pick up where you left off! I don’t just give you the tune and teach you the notes and then say, “good luck!” Students learn with me because I break songs down into a system that walks you through each step. With every song, you will have my special formula of eight videos. Each video focuses on a specific aspect of the song. By the time you have practiced the eight videos and understand the concepts, you will not simply play the song. You will understand it and be ready to interpret it and make it your own! That’s what mastery is all about! If you want to bake a cake you see in a magazine, imagine how helpful it would be to have the list of ingredients! Imagine how much MORE helpful it would be to have the instructions AND the ingredients! What happens if I get behind? There is no such thing as “behind”. Go at your own pace, and your pace is okay. All I ask is that you continue to move forward in your progress. I am here to help you! Am I ready for this course? Is there a prerequisite? If you don’t have these, or you don’t know what they mean, then you probably need to take my Beginning Suzuki class first. I’d really like to take this class, but I don’t think I have time. 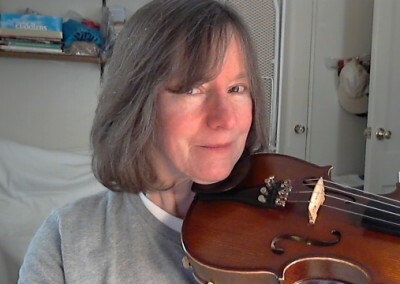 Yes, it is a time commitment, but chances are, you would spend time wishing you could play fiddle, or watching YouTube fiddlers, dreaming that you could someday be able to do that! If you can find about 30 minutes per day, you can finish this course. 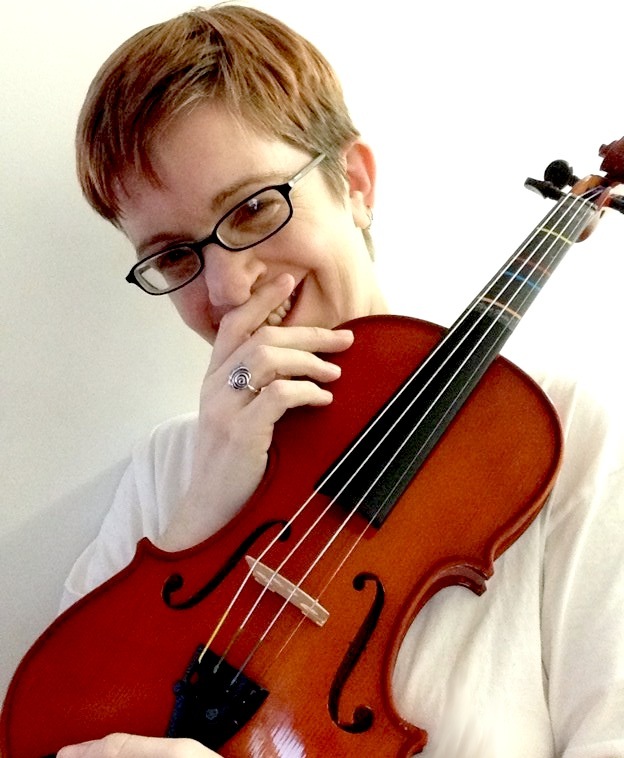 And trust me, after you play your first complete fiddle tune…you will find the time. It will be so fun, you might decide to sell your television! What if I decide to quit? No problem! You are free to cancel at any time if you choose to. Do you guarantee these lessons? Absolutely! I do not want unsatisfied students! If you are not satisfied with these lessons, you will know it in about a month. That’s why I offer a 60 day money-back guarantee, to give you plenty of time to try it out and think about it. If you decide it’s not worth the money you have paid, simply cancel your membership and request a refund. NO PROBLEM. I fully stand behind my lessons! Have more questions? Just contact me. 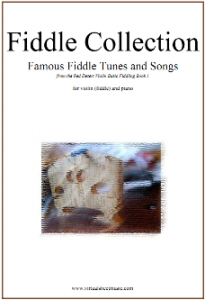 Red Desert Fiddle Book: I have had a FANTASTIC fiddle book prepared for this course by Virtual Sheet Music. It has amazing features like midi-playback with tempo control, print the music out, print fiddle only, or piano only, or both! This book is an amazing value at just $10. Download and Print Unit Summaries and Practice Assignments: Print these documents to save your valuable time and make the most of your practicing. They give the highlights of each lesson, and have a special “practice assignment” section to help you get right down to business and get results! FREE to members. 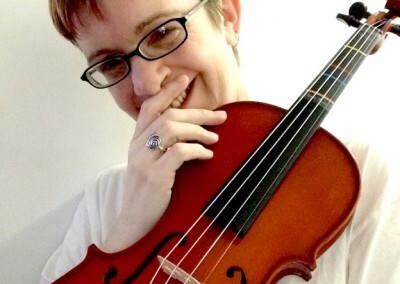 Practice with play-along videos in slow, medium, and fast: These videos help you gain continuity and speed, and they feature a close-up of my left hand so you can clearly see the notes being played. FREE to members. 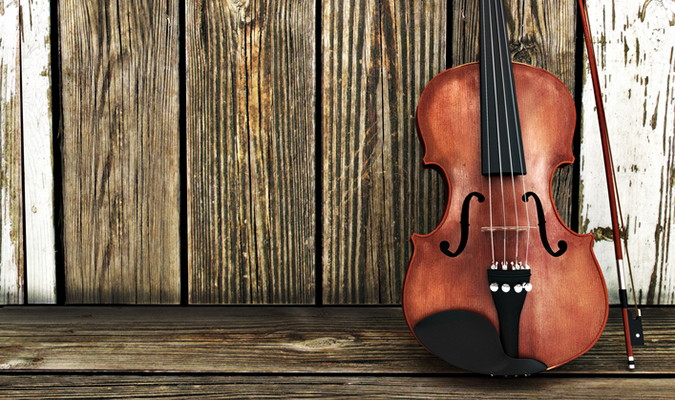 Downloadable audio tracks of fiddle only, fiddle with guitar, and guitar only: Play these invaluable tools in your car or in the background while you work to help you absorb the tunes. Work with them in your practice room to help you gain independence and polish. FREE to members. Take a look inside and find out for yourself. Your credit card will be billed $47 today, then again every 30 days until you have made a total of 8 $47 payments.